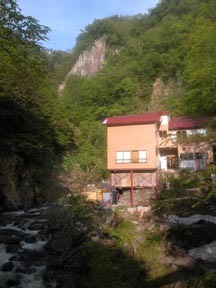 The wooden isolated lodging house built in the unexplored region of a deep ravine. 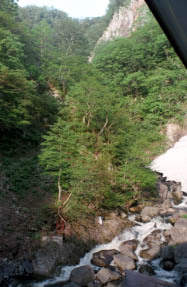 The Mogami river origin seen from a guest room. 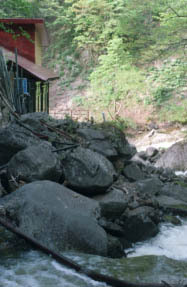 The open bath of a rock structure where hot water overflows. 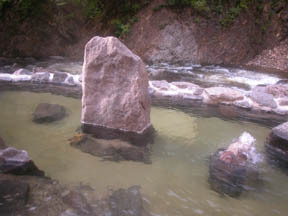 The open bath for women. 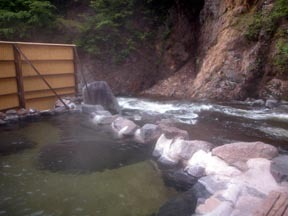 Rapids "Saharazawa" and a Takimiya Ryokan.